How could Arianna allow this digitally altered trash to be posted on her site? 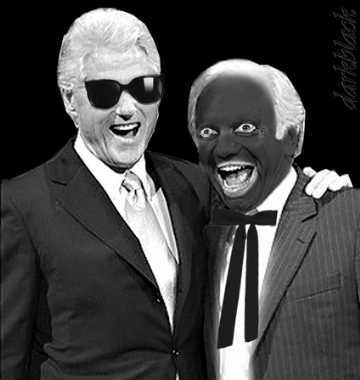 Yes we're posting the stupid picture to call her on her s--t. So Lieberman is supposed to be Bill Clinton's blackface minstrel? Some folks always want to pimp our race somehow. The picture was posted on the Huffington Post Web site by Jane Hamsher, a blogger who supports Mr. Lamont. Huff should police racist trash on her site. Does she endorse use of the photo?